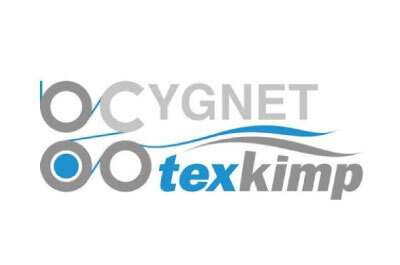 Assignment: – Cygnet Texkimp had announced some significant structural changes which required a series of senior management positions filling to head up the key areas of the business. The positions identified included Account Director, Head of Procurement, QHS Manager, Head of Controls Systems, Product Directors, Head of Procurement, Project Managers and Head of Spares and Maintenance. These were required over a space of 4 months. The diversity of the different roles meant they required not only a business which understood the different disciplines but most importantly understood the business impact, individual delivery and cultural fit. Our Process: – We were involved in the development meetings to understand why the structural changes were key to the business growth and set out an agreement of priority roles to fill. Where necessary we challenged the essential requirements of the roles whilst getting underneath the skin of the different business areas and the long term vision for each of them. Following this we identified the key people internally who have the expertise, knowledge and contacts to help deliver a selection of the very best candidates on the market. What happened: – We used a mix of advertisement, search and recommendation sources to provide a selection of at least 3 candidates which met the recruitment policy we had outlaid in the beginning. We used a series of agreed weighted competency assessments and interviews to benchmark our understanding versus then agreed requirement. Following this we provided feedback and discussed the different short, medium and long term possibilities of the different candidates. Once the second stage candidates had been identified we engaged with a trusted supplier of unique personality and ability profiles to benchmark our criteria versus a series of timed assessments. These provided a better objective picture of the fit for the business. Most importantly we continued the dialogue with Texkimp regarding their individual area needs but also how they knit together given the large amount of senior roles required within the business. Following the second interview process we successfully selected and placed all of the key roles above which created a real platform for strength and long term success. Further 3 and 6 month checks on how they have developed has provided useful feedback for the business and its long term attainment of its goals.